This morning I made myself some cheese grits and eggs, so obviously I’ve been thinking about the 80’s show Alice. When the writers wrote a joke that they couldn’t get out of, they would just give one of the characters a funny costume or a funny hat. It was an 80’s sitcom. They could get away with it. It’s a southern dish that is usually composed of cornmeal, water, milk and cheese. But cornmeal is off limits on a low carb diet, so we’re going to use almond meal instead. It’s surprising how similar the texture and taste are. It feels like you are actually eating grits or polenta. Add a few eggs and you’ve got the perfect low carb breakfast or brunch. Now I know that there are low carb diet naysayers out there. For them I have just three words: kiss my grits. This is a low carb take on the classic Southern breakfast: cheese grits. Each serving has just 3g net carbs. 1. Mix together almond flour, water and salt in a medium size sauce pan. 2. Bring to boil over medium heat, whisking occasionally. Once the mixture is boiling, whisk continuously for 1 to 2 minutes, until it visibly thickens. 3. Remove from the heat and stir in the cheese. Mix until melted and combined. Just made this. It was too easy. I used almond meal unblanched and after adding the cheese also a little whipping cream to thicken it does taste a great deal like grits! Will definitely subsitute when I am in the mood for grits! Thanks! Yay! I’m so glad you like the grits. i like using unblanched almond flour too. I bought it by accident, but I end up using it all the time. 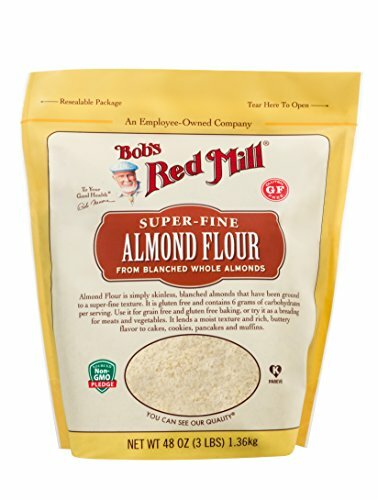 Haven’t tried this yet but wonder why you use superfine almond flour instead of almond meal which is much grittier like regular grits? Is the almond meal too gritty? That’s a good point about almond meal. I’ve never seen anything but super fine almond meal in my local stores though. There are so many oddball specialty ingredients that you use for low carb cooking, so I try and use ingredients you can buy in a store near you, when I can. If you do try it, please check back in and let me know how it goes. I used to watch Mel’s Diner all the time! I miss the old shows. Me too. I watch a lot of TV Land.